Then suddenly, a massive 20-ton champagne barrel is being hauled through the streets by 24 bulls and 18 horses. It’s so big that five nearby buildings had to be demolished just so it could get through. A gigantic crowd has gathered around this barrel that contains the equivalent of 200,000 bottles of bubbly. And plastered across this entire event is the name: Champagne Mercier. 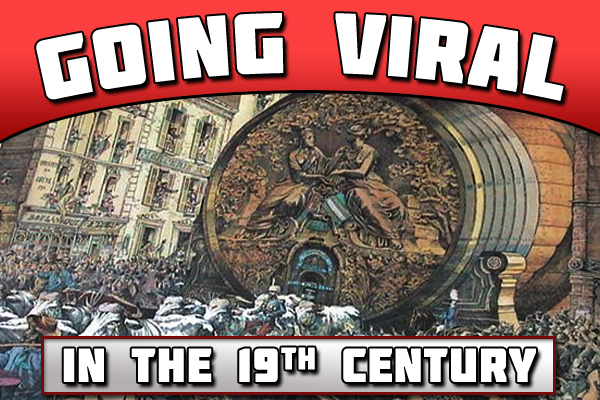 In an era before cell phone cameras and YouTube, it is a spectacle that truly goes viral. Across the globe, newspaper after newspaper covers the event, giving Eugene Mercier, the mastermind behind it all millions of dollars in free publicity. With approximately thirty million potential customers attending the exposition and some stiff competition from the other champagne houses, both his name and his brand stands out from the crowd. Little do people know that this marvel has been in the works for nearly twenty years. 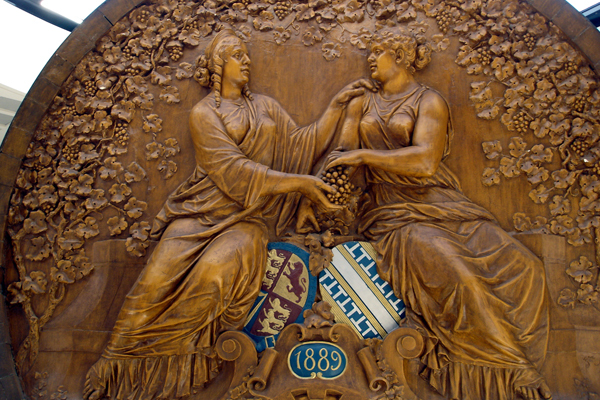 Beginning in 1870, Mercier conducts studies on the feasibility of this mammoth project with the first of 150 oak trees needed to make the barrel being cut down in 1872. Adding to its visual appeal, it is decorated with customized sculptures by Gustave Navlet, a famous French artist. And finally, 1,600 hectoliters of champagne fills the barrel in 1887, marking the end of its construction. And for its grand arrival, the streets are crowded with factory employees leaving work early and Parisian children given an hour off school to watch this historic event. With the whole world mesmerized by this daunting structure, Eugene Mercier succeeds in pulling off perhaps the greatest publicity stunt in the history of advertising.